Loretta Brownlee, recipient of the Community Advocate Award: Loretta is a longtime resident of Mount Clemens and the director of Citizens of Macomb Behind All Teens, a non-profit that provides free education and recreation for youth and families. Outside of her advocacy work, Loretta is a board member of My Care Health Center and is well-known for her commitment to the annual production of the Mount Clemens High School Talent and Fashion Show. Roger H. Bunton, recipient of the Educational Impact Award: Roger was a longtime teacher within the L'Anse Creuse school district. He was also the district's first black coach and likely the first black high school coach in the county. He now serves as the Mount Clemens city commissioner and mayor pro tempore, is the inaugural chairperson of the Mount Clemens Community Coalition for Youth and Families and is an active member of the North Broadway Church of Christ. Dakei Harvey, recipient of the Artistic Impact Award: Dakei is a gifted song-writer, a published author and a director and producer for television. In addition to pursuing these artistic ventures, he also works hard for his community by volunteering at shelters, performing for the elderly and advocating for the causes he believes in. Derrick Herring, recipient of the Business Impact Award: Derrick is well-known in the community for his successful business ventures, including his City Cuts barbershop, a construction and landscaping operation and Buck's Cleaning Services. Bonner C. Upshaw III, recipient of the Athletic Leadership Award: Bonner C. Upshaw III is co-founder and CEO of Troy-based Trion Solutions, Inc., which is among the largest Professional Employer Organizations (PEOs) and is the largest minority-owned PEO in the United States. Before he started his business career, Bonner was a professional basketball player in Europe. He played for 10 years on teams in France, Portugal, Macedonia and Switzerland. Macomb's Celebration of Black Excellence is presented by Consumers Energy. Individuals interested in attending the gala portion of the event can purchase tickets ($35 per person) here: https://www.eventbrite.com/e/macombs-celebration-of-black-excellence-awards-gala-tickets-54166776286. In addition to the awards ceremony, the gala will feature dinner, performances from local step teams, a choir from the Church of Christ Music Ministry and ballroom dancing from KC University of Dance.  The awards gala marks the conclusion of the daylong Celebration of Black Excellence, an event planned to honor and celebrate the long history and contributions of Macomb County's black community. It will begin in the morning with a vendor and resource expo starting at 10 a.m. and running until 2 p.m. A variety of small businesses and organizations will have a presence during this portion of the event, which is free and open to the public. Those on site will sell items ranging from food to clothing. Others will provide services like health screenings and financial assistance. All told, more than 20 vendors are expected, including several young entrepreneurs (17-years-old and under) within the children's business section. Those interested in participating and setting up a booth can find more information on costs and set up in the vendor information packet here. They may also contact Veronica at 586-823-2135 or Antoinette at 586-722-8645 with questions. More information on the Celebration of Black Excellence event can be found at http://people.macombgov.org/people-blackexcellence and at WeAreOneMacomb.com. Strengthen Macomb County's economy by building connections throughout the county, region and world. For more information, follow OneMacomb on Facebook and Twitter.